When trying to start something new, we always try to look up to the ones who have already succeeded in doing that. We are trying to understand what were the factors that allowed them to reach their goal and maybe even implement the same strategy to our own path. Thus, for those starting to get into the Forex trading, that might be a good idea to take some inspiration and maybe excavate some pieces of advice from the richest Forex traders in Africa. As they are by far a good example of how a proper strategy analysis and persistent work can get you wherever you want. Therefore, we have decided to prepare a list of successful Forex traders in South Africa and tell a brief story of their success. South Africa has an attractive environment for those who want to start trading on Forex. Even though the market is quite young, it is developing pretty fast and looks promising for further investments. And we will tell you why a bit later in that article. Just keep up with us! This 22-year-old trading genius was born in Meadowlands, Soweto. He is one of the richest Forex traders in South Africa who proved that anyone can reach his/her own point of success with constant dedication and hard work. He has also published his own book ‘The Art of Trading’ in 2017 and it was a huge success, just like anything this guy does. Let’s go back to where it all started got him. Ref was always a smart guy who was blessed with a high IQ. However, he definitely owes his success to his passion and curiosity. Thus, he managed to earn his first million by the time when he was only 19. He was always into neuroscience, psychology and Quantum Physics. Therefore, it is no surprise that he had a bit different vision for the cryptocurrency and the whole financial sphere. In 2011, Ref dropped out of school but it did not affect him much. He decided to start his own business and was selling SIM cards on the streets for a while. That actually led him to meet Mr. Schwartz who, in turn, introduced him to the cryptocurrency in general. And Ref got so excited that he started to educate himself about Forex, learn the trading strategies, and trying to understand how it all works from the inside. Together with his IT and engineering past, he managed to get a master’s degree in currency trading soon enough. After swimming in the ‘crypto waters’, he decided that he wants to create something new that will help guys like him to earn their own money without even leaving the house. He aimed higher – to improve the condition of the economy in South Africa. That, as we suppose, makes him not only one of the most successful South African Forex traders but also just a nice guy. After years of working, the Pip Coin digital currency was finally introduced to the world. Of course, as it happens most of the time, the project got him super rich and he started to buy out luxurious cars, watches, shoes. But hey, that guy was working hard for that and this definitely did not happen with him overnight. Ref Wayne is also famous for creating South African Forex Institute where he hosts regular courses on how to gain profit on Forex trading without losing the majority of your capital. Moreover, the book we have mentioned earlier had a great impact on South African young entrepreneurs as they were able to get into the mind of one of the best Forex traders in South Africa. To sum up, we would also like to mention that Ref Wayne is not one of those selfish entrepreneurs who is not giving anything back to the world. Definitely no. He was the one who created a Ref Wayne foundation that is offering free courses for those who want to learn to trade on Forex from scratch. Born in a small town, Tembisa, Simz has proven that no matter what your social status is when you are born, you still can become one of the successful Forex traders in South Africa. Poverty does not define who you will be in the future. And that is exactly what Simz’s example shows us. Simz was born in a poor family, but because he was hardworking and persistent, he managed to create two successful Forex trading platforms: Trade4Africa.org and The African Millionaires Den, as well as become a successful Forex analyst and a business strategist. Now, if you really want to join the list of successful Forex traders in South Africa, keep reading that article. Simz D’ Mandla started working when he was only 7, he was selling all kind of things just to help out his parents and feed the family. He was trying to collect money he was earning for his education. And when he finally started taking his courses, he became very excited about JSE trading. After meeting Mr. Willem, he decided that Forex trading is something he strives to become better at and make living out of it. With the guidance of his mentor, Mr. Willem, Simz started trading stocks. And became quite successful in that as he was trying to invest all of the hard-earned money wisely and thoroughly, without making any impulsive decisions. Therefore, in 20 he has already earned his first million. Simz, just like other South Africa Forex traders, was concerned about how bad things were in South Africa. So, he wanted to change the situation, especially after he realized his financial power and abilities. Therefore, he has launched Tade4Africa, the project that was intended to educate a new generation about Forex trading and, thus, gets rid of the poverty and unemployment gap that was huge by that time. After the launch of the first project, he did not stop indeed and decided to come up with another one. That was the African Millionaires Den, the aim of which was pretty much the same. By founding those organizations, Simz was trying to prove people that by just saving $100 per month and trading with them wisely on the Forex market, they could easily get rid of the debts they have and create a basis for a brighter future. Together with the organizations he has created, he also hosts constant public lectures that educate younger people not about Forex trading only but about business creation as well. However, regardless of his good intentions, some people are still criticizing him and calling his companies a scam. But that still does not change the way Simz perceives life and his intentions to change the society and world for the best. Being a founder of Global Forex Institute, Sandile is yet another part of the top South African Forex traders. He showed how from selling muffins at school to get to the top of the economic pyramid of South Africa. And now, being only 27 years old, he is regarded as one of the youngest millionaires in Africa. Therefore, it might be educational and interesting for you to hear his story and how did he get where he is now. Sandile was into Forex trading since the very young age. He started to trade in school for the money he gained by selling muffins. After his friends trusted him their annual tuition fee for the university, he traded online and managed to gain an impressive profit. That is when he understood that he could actually make living out of that. Later on, he met his life-long mentor, George Van der Riet, who, in turn, won the African Forex Cup in 2014 and 2015 and helped Sandile Shenzi to establish the largest Global Forex Institute. The organization is aimed to help students to become full-time Forex traders. By now, there are already 10,000 students who have graduated from the institute and can become another example of the most successful Forex traders in South Africa. However, apart from just helping out students, the organization has a much broader outlook and upcoming plans that will hopefully change the economic system in South Africa for the best. Now the estimated net worth of Sandile is $2.3 million. And yet there is another successful organization founded by one of the best traders in South Africa. That is the Sandile Shezi Foundation that is aimed to improve both education and health care sectors in South Africa. As Sandile himself understands that well-educated young generation is something that decides the future of the whole country, it is now planned to provide 2,500 students from SA with the scholarship until 2025. When it comes to health care, it is planned to affect the lives of 25,000 people until the same year of 2026 as a part of the Sandile Shezi Foundation Health Program. There are also several programs aimed to provide support to the handicapped people in need. Thus, wheelchairs were guaranteed how hundreds of people in the past few years. George van der Riet was born in Capetown and is definitely one of the brightest examples of top Forex traders in South Africa. He is the oldest (43 years old) out of the ones we have mentioned previously. However, he is undeniably the most recognizable one. That is why for us it was very important to tell you one of the Forex trading success stories in South Africa. As it is full of debatable events, as well as conspiracy and crime even. The personality of George was shaped in South Africa. However, his interest for Forex trading was developed in Manchester business school, England. There he had an opportunity to received a great working experience. As he was working in various international financial institutions. And, therefore, managed to gain entrepreneurial skills that helped him out later on. In 2010, he came back to South Africa and continued his Forex trading path. During this time, he met Sandile Shezi. He was just like a little brother for him. He was navigating him, helping, and even teaching some things. As a result, they have founded the Global Forex Institute that is responsible not only for educating students who want to start trading but also for the development of the economic sector in Africa. Things were going very well for both of them. However, that is when things started to go the wrong way. When someone becomes really wealthy and successful, there will always be those that would like to get all of that without actually putting effort into that. That how it is usually. And that is exactly what happened with George when he was in London. A thief tried to rob him. However, George trying to protect himself and fought back. After three days the thief died in the hospital and George was accused of the murder, as well as of the trafficking of illegal drugs. That led him to end up in jail and for all of his accounts to be permanently frozen. So, he had to start everything all over again. What did he do? He started to trade on TDMarkets.com at only $200-deposit. And it took only 6 months for him to get back in the path. Even though the community did not forget the event that happened in 2010 and they continued calling him a murderer, that did not stop George from trying his best in order to then give back to society. Thus, in 2014, George proved his status as one of the best Forex traders in South Africa. He was awarded the African Forex cap. That is yet another example of top Forex traders in SA. He has mostly known for his Forex related books that were a great success. He is currently living in Capetown, South Africa. Mike has several books that generated great income and educated dozens of those who want to start earning money on Forex. Notably, in 2007, Mike founded the IFBS Forex Training Academy where he together with other mentors are hosting regular seminars that are dedicated to the education of Forex trading beginners. The fact that makes that academy to stand out from other ones is that all classes are really easily understandable and interactive. So, you don’t need to have any background in trading whatsoever in order to start attending the classes. Why Forex trading is becoming a thing in South Africa? 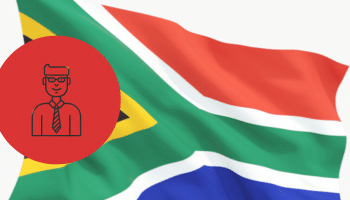 Even though the South African market has joined the whole Forex community only 16 years ago or so, it has an impressive development path we will look into deeper. The appearance of successful Forex traders in South Africa is justified by the fact that the market is quite strong already and is getting, even more, promising with the time. Notably, when it all just started, there were no regulations. That, however, led to thousands of Rands to be stolen from the investors’ account due to fraud. And there is no surprise, as literally, everyone could establish own brokerage without needing permission from any of the legal governmental bodies. Once South Africa joined the FX Trading Market, more and more SA Forex traders started to appear. As it became to make huge profits with the minimum initial deposit. So, let’s look into the pros and cons SA Forex market has to offer. Usually, if local currency is weak, there are high chances of experiencing loss during an exchange with other currencies. Fortunately, that is not the case when it comes to SA Rand. Notably, that is the strongest African currency and holds a promising position in the global charts. By saying that, we mean that people who are trading have absolute freedom in their decisions. They are the ones who decide when and where to work. They do not have anyone to be responsible for, except themselves, of course. However, it is applicable to the majority of the countries where you do not have to pay any additional taxes for the profit you get from Forex trading. No matter which type of account one chooses, or the currency s/he will trade with later, it will always be favorable in other countries as well. As South Africans do not bear huge charged for exchange or withdrawal of funds. Thus, more and more top traders in South Africa start to appear on the market. Simply because they are not afraid of restriction and taxation. Nothing in the world is perfect, neither is South African Forex market. Therefore, there are some drawbacks you need to consider before deciding to trade on it. But that is applicable to any Forex market actually, as trading with the currencies is a risky thing to go for anyway. Even experienced traders hesitate sometimes. The volatility level is high, so it the risk connected with it. The only thing you can do is to actually analyze your investments and find out if all of those are allocated rationally. For instance, if you are investing in the currency that has been showing the downward slope, that doesn’t make any sense. That is a two-sided point actually. Those are the ones who are connecting traders with the Forex market itself. However, for the service, they charge certain fees. Therefore, when choosing the broker, you need to first analyze it thoroughly and decide if you can trust it in the first place. But we would also like to notice that the regulation of South Africa is working quite efficiently. Thus, there are only a few if any South African brokers that are operating on the market. In order to become just like those South African Forex millionaires, you need to know the policies and rules of Forex trading in SA. When choosing a broker to go within South Africa, you need to check first if the one is regulated by the local Forex regulator. That is the responsibility of the Financial Services Board (FSB) of South Africa. That is the governmental institution that regulated all financial operations within SA. Therefore, it is responsible for deciding if the brokerage can offer services to traders or not. By choosing the FSB regulated broker, you are giving yourself a piece of mind and sense of confidence. And in case if something happens, you are guaranteed to receive certain compensation and security from loss of all of your capital. Now, when you have read that article, you may see that becoming a wealthy Forex trader is possible even if you don’t have enough money for the initial bid. Those South African traders have proven to the world that no matter where you are coming from, there is always a choice and an option to change things for the best. You just need to work hard for that, not give up, and yet invest wisely. The South African Forex market, meanwhile, might be a great platform to start from. It is still a developing market, but it has already shown a good growth rate and keeps impressing even experienced traders and brokers with how stable, reliable, and yet profitable it might get to trade currency there. Thus, we would definitely recommend you to check out the Forex trading in South Africa, look at the example of the South African Forex traders and try your luck. But do it wisely, do not take on the unjustified risks that won’t pay off as a result.